The latter is the one for the so-called petrolheads, as has been the role of previous type R versions of the Civic. 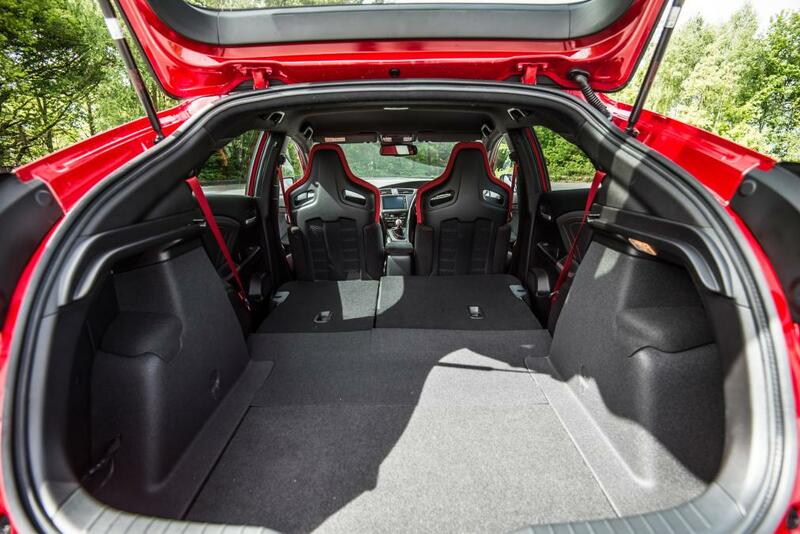 Here is an incredibly powerful compact hatchback that boasts a massive 310bhp, amazingly delivered through the front wheels without hindrance to the steering action. Visually, it is similar in outward appearance to the conventional Civic, though the front meshed grille is proportionally large and at the rear there is a prominent wing plus four beefy-sized exhaust pipes and clearly visible are the large red painted Brembo callipers for the powerful all-disc braking system. Close examination of the front wings will also show heat outlets from the engine bay. To develop the Type R, virtually every component has been specially created, from that two-litre turbocharged petrol engine that delivers amazing flexibility as well as being able to rev up to 7,000rpm, to the six-speed gearbox that has been designed to have a very short movement between changes. An extra-large synchromesh is used in the gearbox to ensure smooth and rapid gear changes. The front suspension is also a one-off to ensure both strong road grip and positive feel when applying power and the overall car weight has been reduced to 1,382kg with the help of special adhesives rather than welds in some construction stages. Of course, there is plenty of state-of-the-art equipment that includes a dual-drive mode that changes the driving character from a comfortable performance car into a near race-class car. Simply press the +R button and the steering weights up, the suspension stiffens and if you don’t get the message then all the instrument dial surrounds will have turned from a white glow to a red one when that button was first pressed. Equipment includes a rear-view camera, cruise control, keyless start, LED headlights, Bluetooth and stop+start. If you want satellite navigation, it is a £2,300 upgrade to the GT package that also adds dual-zone air conditioning, all-round parking sensors and extra protection – the car should warrant an NCAP 5-star rating. If the purposeful cockpit does not hint at racy performance, then let the car do the convincing – official performance figures show a top speed of 167mph with 0-67 mph reached in a mere 5.7sec. Though some of this performance might not be achievable on most roads in most countries the utter power delivery can certainly be utilised and appreciated. Obviously, fuel consumption depends on how this car is driven. A ball-park figure is 38.7mpg, which is good considering the power it is unleashing, though I suggest the so-called discerning drivers will use a heavier foot and be regularly frequenting forecourts as a sub-11 gallon tank does not give a much of a range. 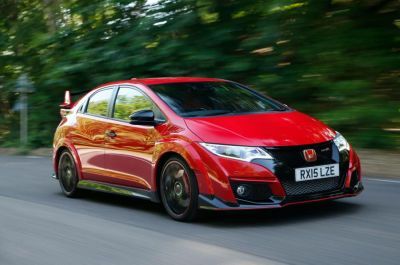 Part of this road test took place on a purpose-built race track in the company of professional race driver instructors and proved that the Type R was fit for purpose in all respects, capable of being a real tear-away or a practical quick road car and with no degree of rawness as can be the case with some hot hatchbacks. At the wheel, it is a comfortable fit for all sizes of driver. As a practical form of transport, the five-door body takes four adults fairly easily, has a good luggage capacity augmented by the usual split-fold rear seats and interior finish and planning is notably good. 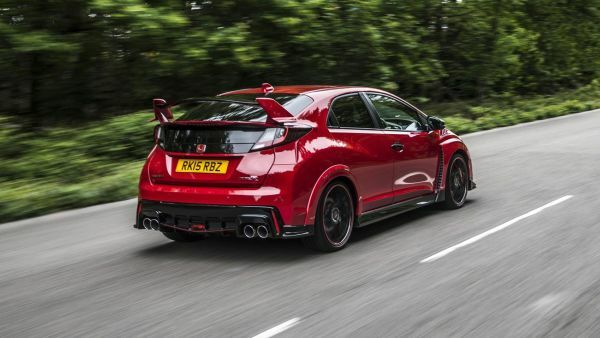 When previous Honda Civic Type R models have been launched the word iconic has been regularly applied…this latest one is certainly a modern icon. Rivals : SEAT Leon Cupra, Renault Megane Renaultsport.